Whenever I'm in a pinch and still want to impress I pull out this recipe! Christmas is a couple of weeks away and I am starting to experiment to see what works and what doesn't. I feel like this year I would love it to have a combination of all different flavors. 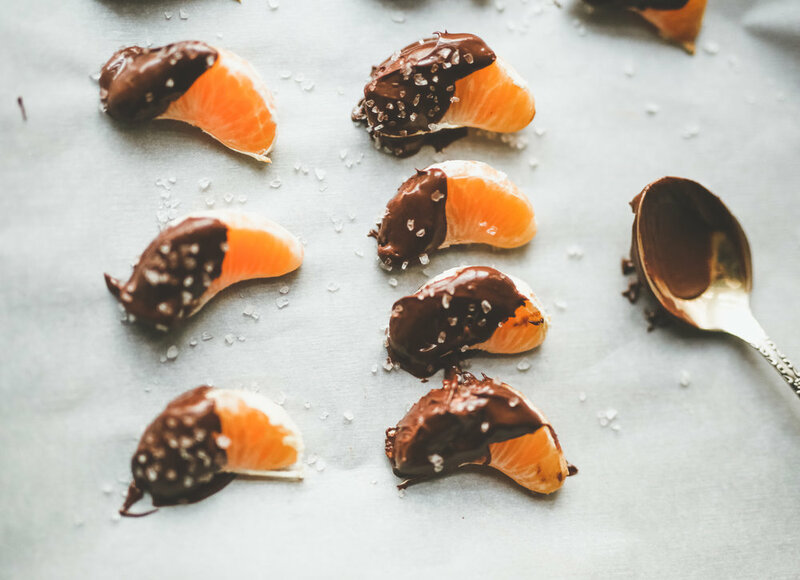 My first treat is an easy 5-minute recipe that adds some semi-sweet and salty flavors to it. It makes a great starter for any holiday and my kids absolutely love the combination. Mandarin Oranges are so abundant and couldn’t be tastier. 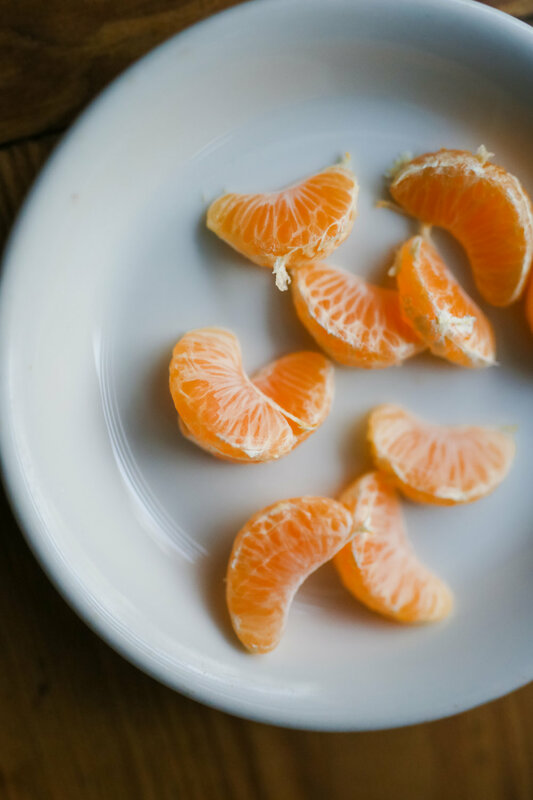 Extremely sweet and juicy and the best part that it's loved and adored by young and old.Turn them into this fun and gorgeous snack! 1. Line a baking sheet with parchment or wax paper and set aside. Peel the mandarin oranges. 2. 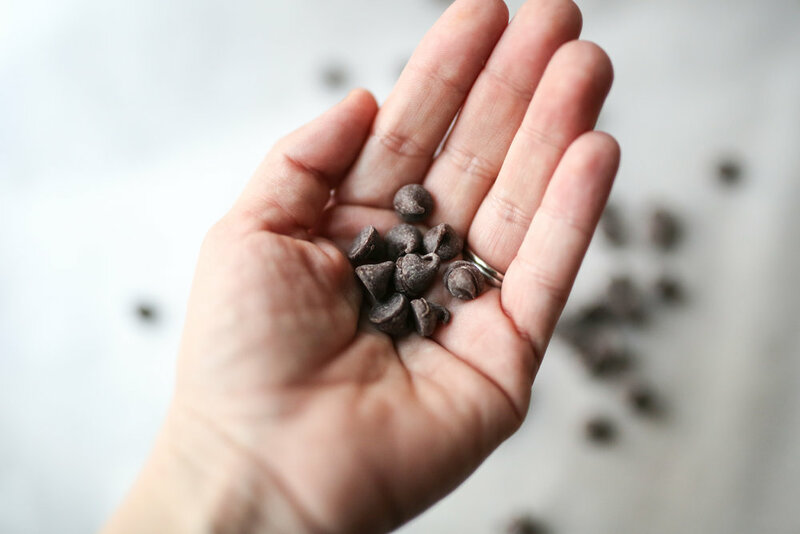 In a microwave-safe bowl or with the help of a double boiler, melt chocolate chips and add shortening, if desired. Adding shortening is optional - it helps make the chocolate super smooth and easier to work with. Using only melted chocolate will work fine as well. 3. Dip each slice halfway into the melted chocolate and place on prepared baking sheet. Sprinkle with salt and repeat until all slices are evenly coated and sprinkled with salt. Refrigerate for 10 minutes or until chocolate has hardened. Enjoy! Make sure to have fun making this by yourself or with the kiddos!